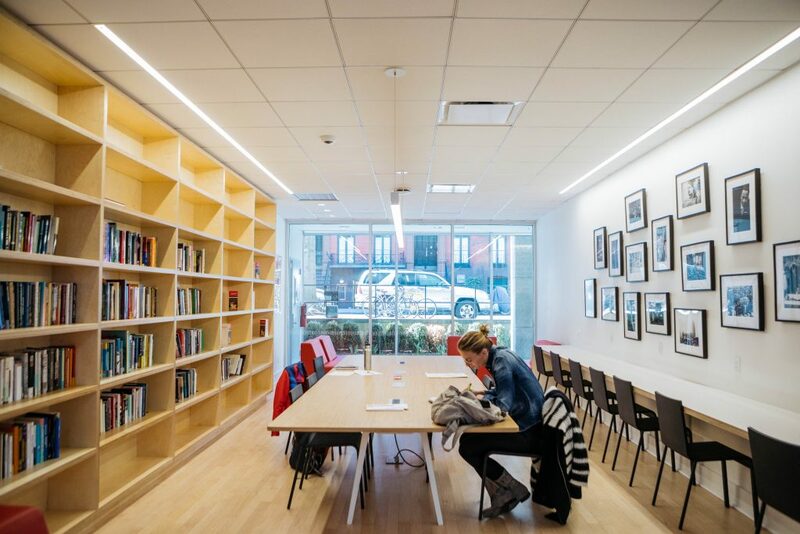 The new reading room was named by students after a school-wide vote, and is inspired by the James Baldwin quote "The world changes according to the way people see it, and if you alter even by a millimeter the way people look at reality, then you can change it." 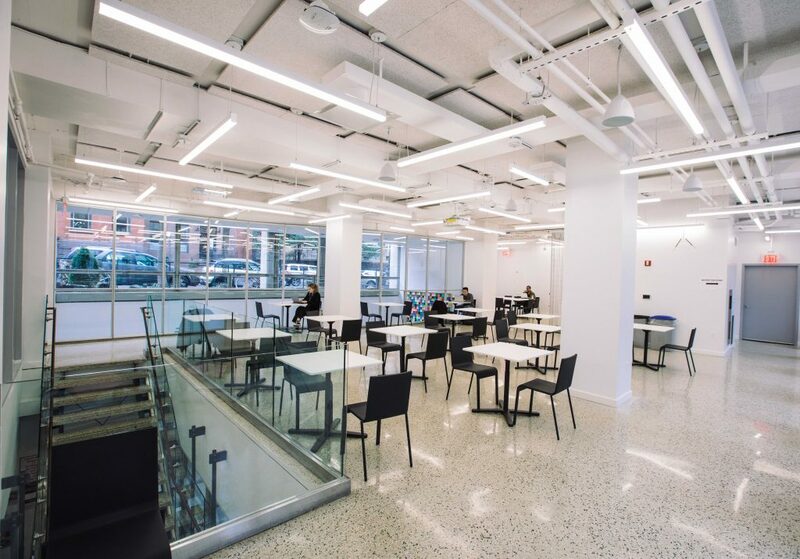 Lang Cafe's updates include more seating for students, better lighting, and longer hours. O Cafe will be providing the food and beverage options. The new student lounge space on the 4th floor gives students more space to rest, study, and interact with each other. 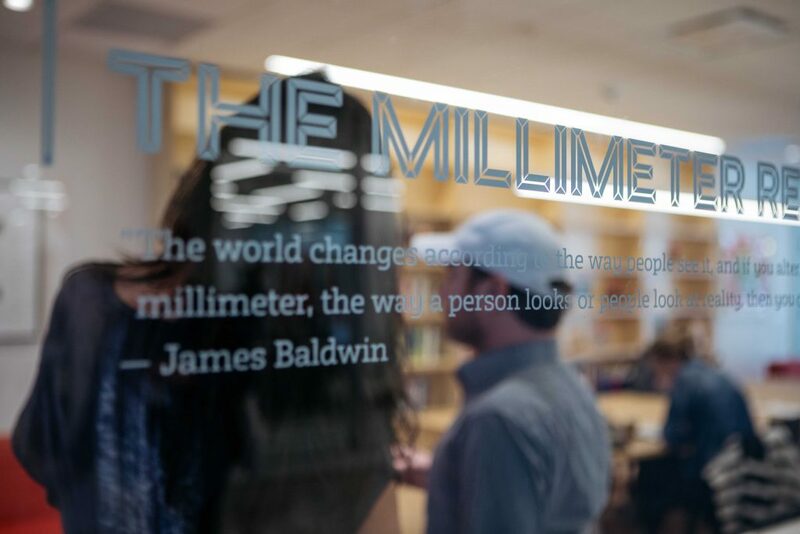 A close-up of the James Baldwin quote on the windows of the Millimeter Reading Room. 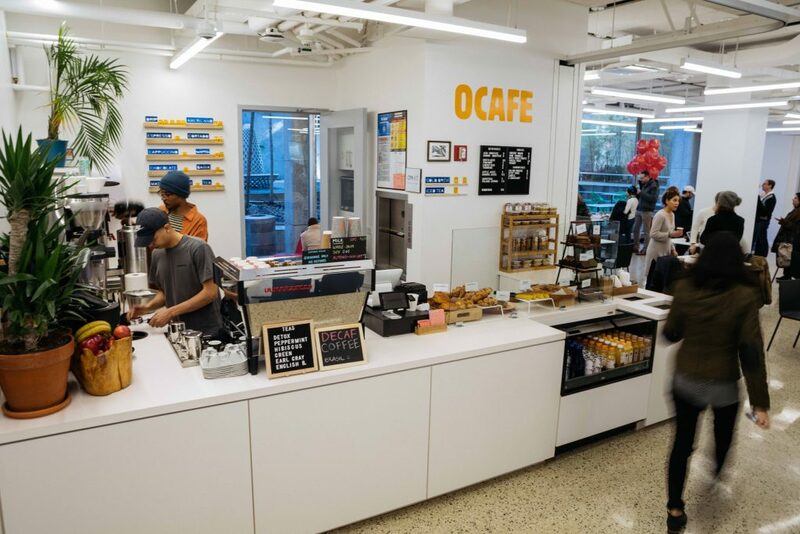 The new O Cafe in the Lang Cafe space. Since last fall, the ground floor of 65 W. 11th Street has been closed for several months as part of a new round of renovations the university will be making during the next couple of years throughout campus. 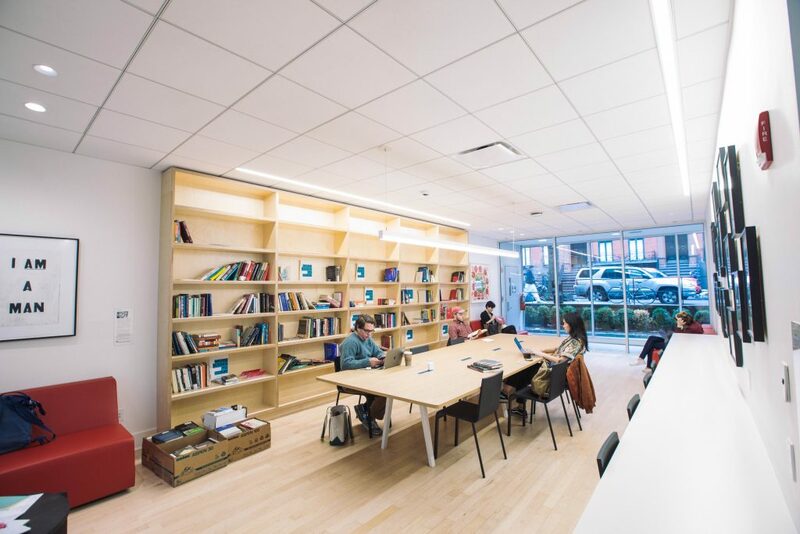 Designed specifically for students, the Millimeter Reading Room features communal study spaces, lounge chairs, and floor-to-ceiling bookshelves that include books from the RadicalReading Collection, a selection of recommendations by the Gural Scholars. The books will be available to borrow at any time; returns will be based on an honor system. Lang Café has also undergone a makeover; it now features more seating space, a lounge area, and allows for greater natural light. O Café will provide the food and beverage, hours have been extended, and there will also be new café furniture for the courtyard once the warmer weather arrives. Other areas within Lang have also received updates designed to create better learning and studying environments for students, including a new classroom on the 4th floor, a new part-time faculty workspace, and the relocation of the New School Free Press offices to the University Center, which will allow the reporters to better interact with students in a more centralized location. 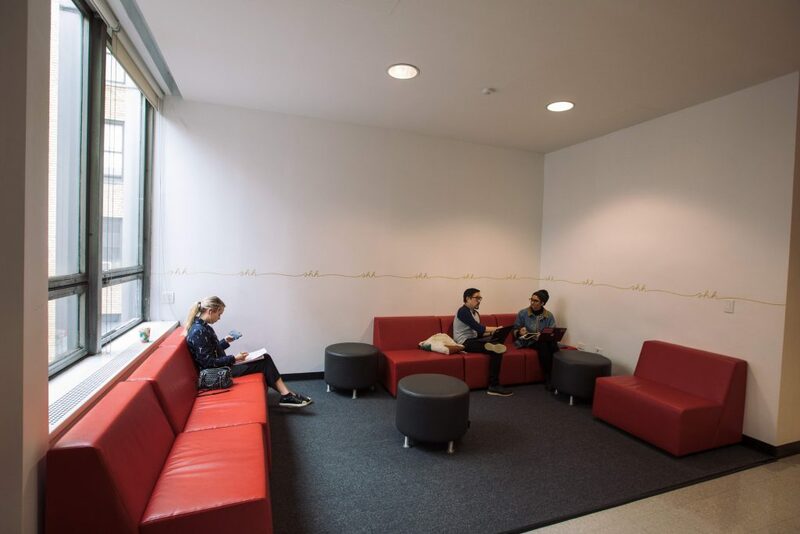 There is also a new student lounge space on the 4th floor near the sky bridge, which will serve as an additional space for students to relax and study.